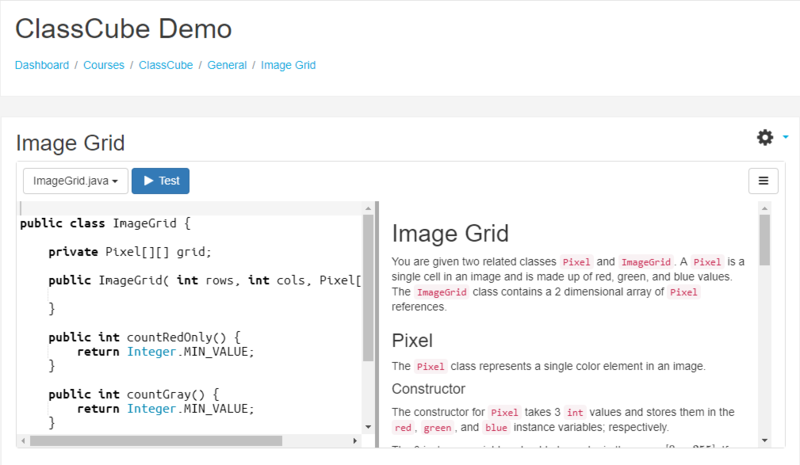 Are you curious about what ClassCube looks like inside Moodle? If you click over to Moodle.ClassCube.com you can see how well ClassCube and Moodle work together. On the demo site you’ll be able to create an account and enroll in an example course. In that course you’ll find several examples of ClassCube problems embedded into Moodle. This entry was posted in Updates and tagged lti, moodle. Bookmark the permalink.